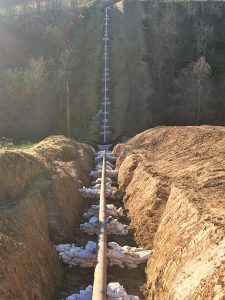 Mid Ohio Pipeline has significant experience in all facets of natural gas pipeline construction, including pipeline integrity management and ongoing maintenance services. Our unique history of providing both distribution and transmission services has created an extremely diverse set of skills among employees and management team, allowing us to effectively handle projects large and small in a timely manner. Mid Ohio Pipeline can provide quick response services for emergency situations and help you maintain compliance in the world of ever-increasing pipeline regulations and strict repair deadlines.